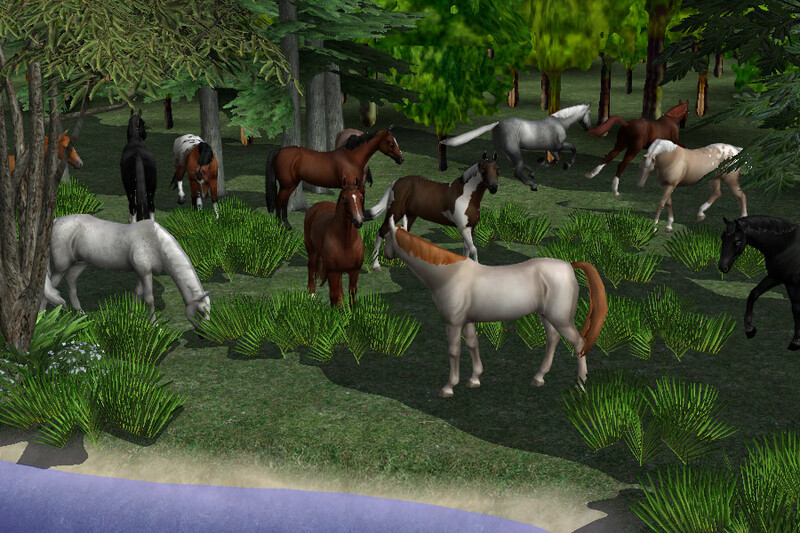 In this section you can find neighbourhood decoration custom content downloads for The Sims 2. 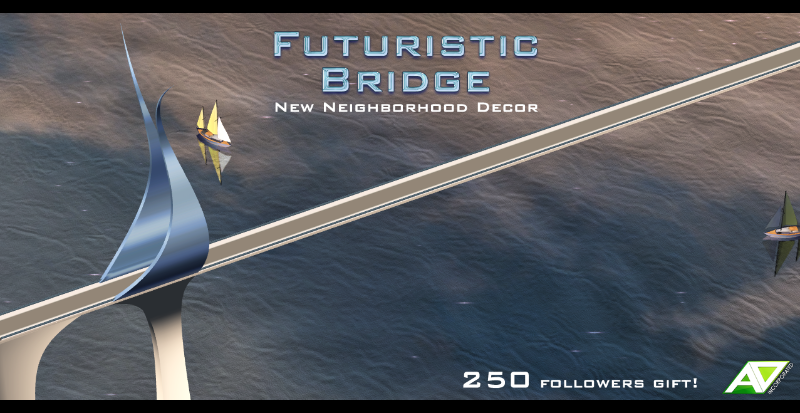 Description: Futuristic bridge hood decoration. 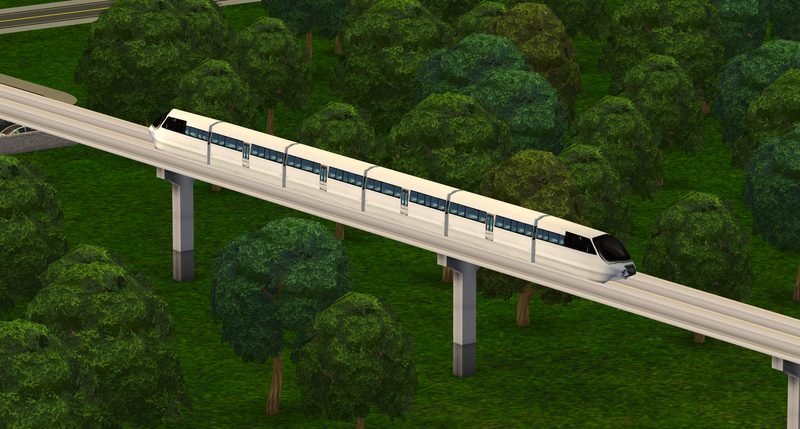 Description: A pylon neighbourhood decoration converted from The Sims 4. 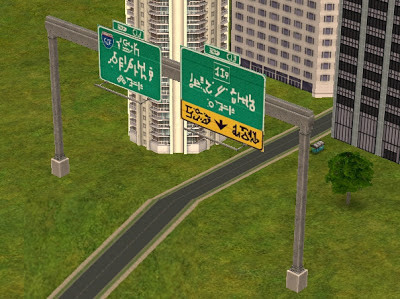 Description: A conversion of The Sims 3 University highway sign. 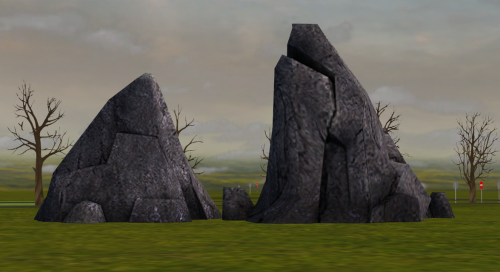 Description: Maxis Lost & Found rocks from Bon Voyage. 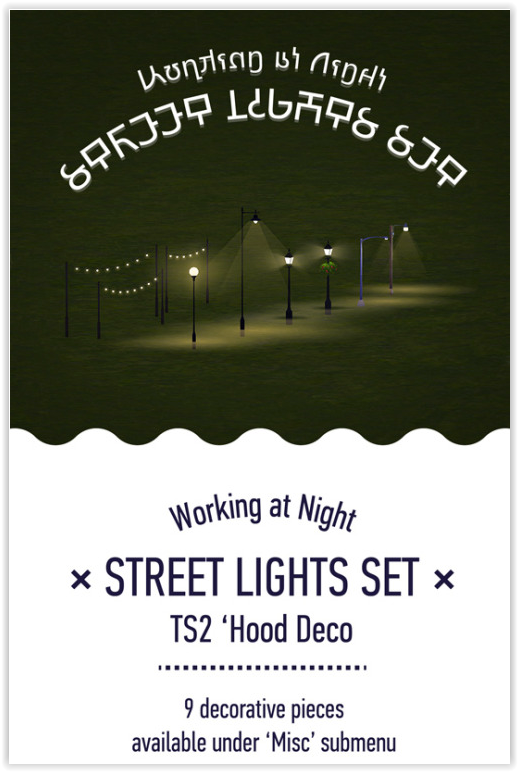 Description: Working at night streetlights in 9 different versions. These are viewable from the lot. 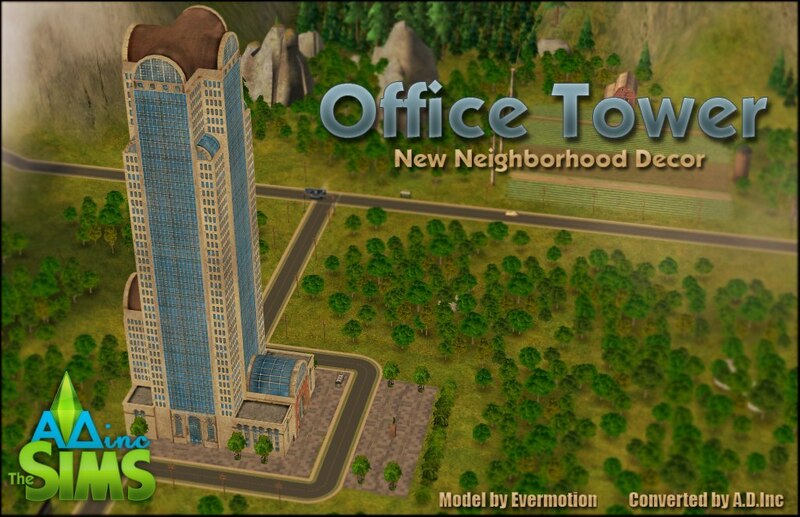 Description: 43 new neighbourhood deco objects (32 buildings plus stairs for one of the buildings, 8 billboards, new water tower, decorative plant. 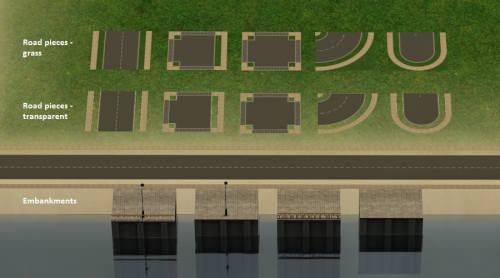 Description: Decorative road pieces and enbankments. Match all terrain replacements. 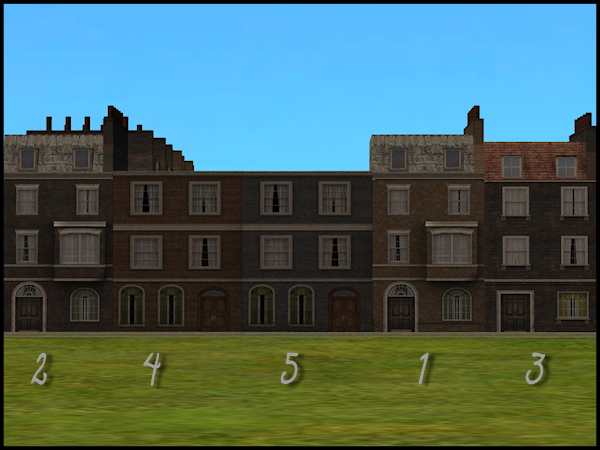 Description: Five Victorian townhouses as neighbourhood deco. Description: Fire effect as neighbourhood deco. Can only be seen from the hood view. 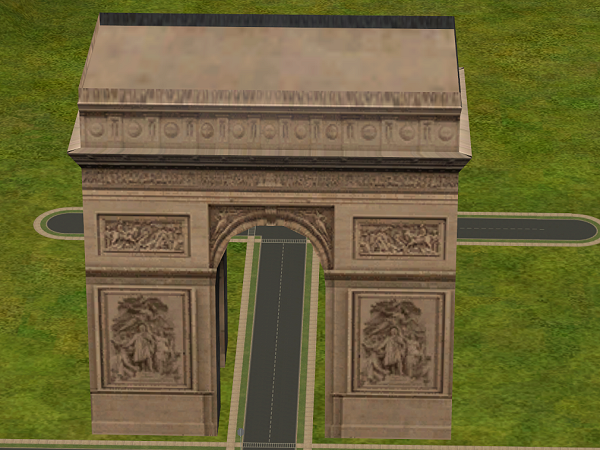 Description: Arc De Triomphe neighbourhood decoration. 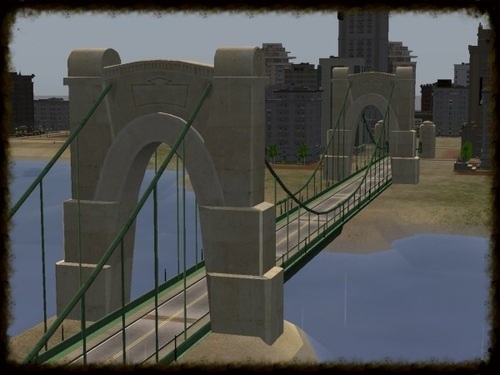 Description: The Sims 3 Late Night bridge converted. 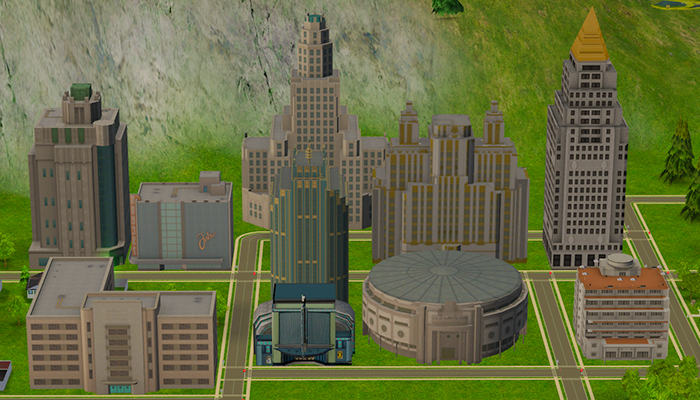 Description: 3t2 Roaring Heights buildings as neighbourhood deco. Description: A set of brick buildings that light up at night. 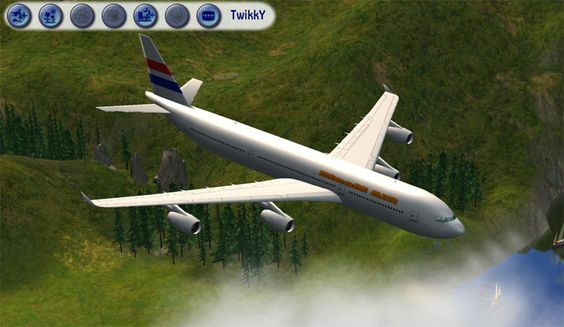 Description: Neighbourhood helicopter replaced by a plane. 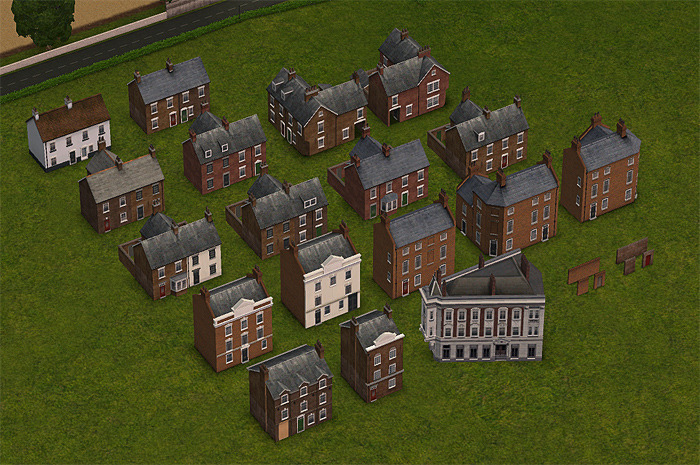 Description: 72 pieces of neighbourhood deco. 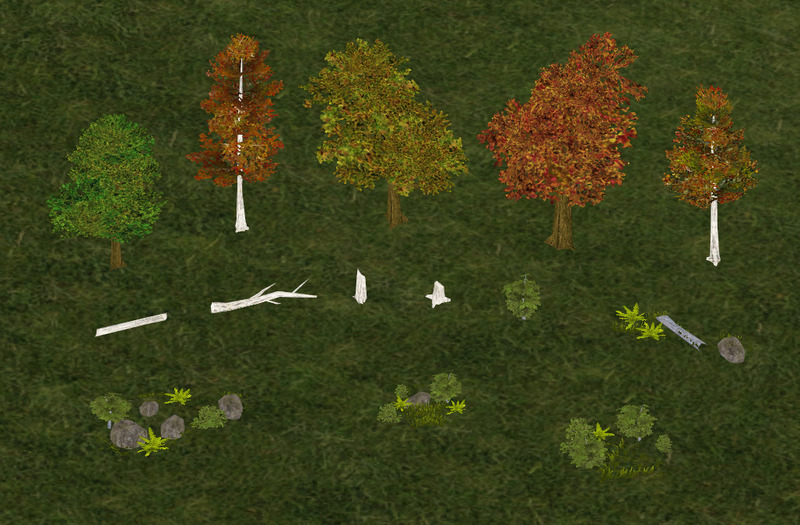 Description: Age of Empires trees converted. 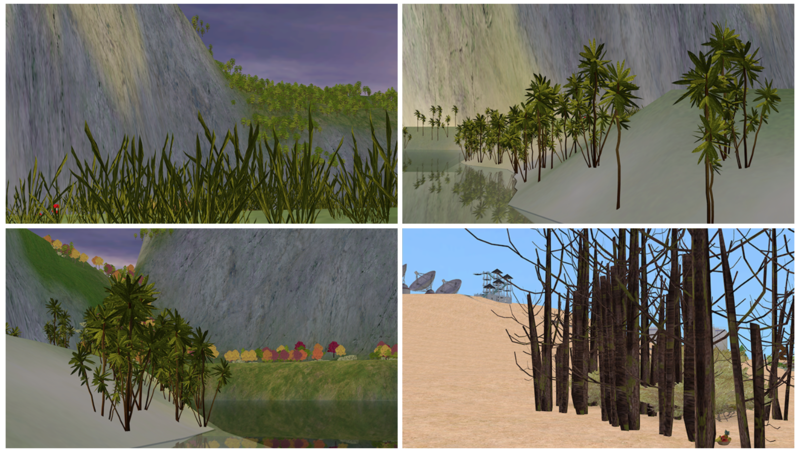 Description: Palm trees, tall grass and a dead tree. 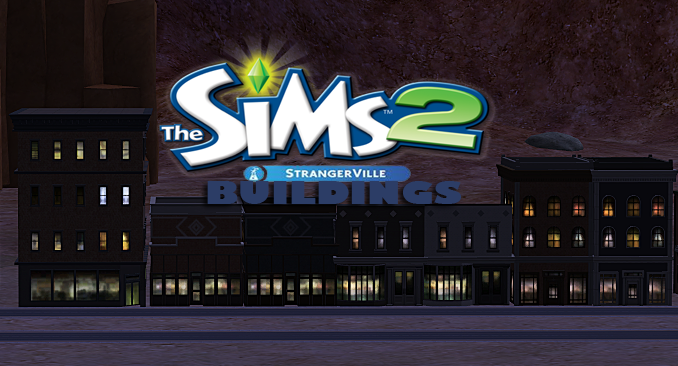 Description: Strangerville buildings converted from The Sims 4.